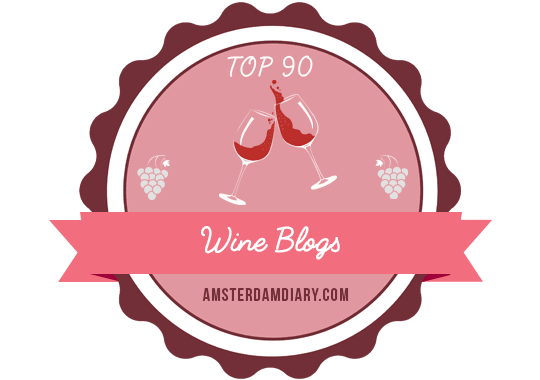 It’s been nearly two months since I published a set of wine reviews on my blog. As regular readers know, I am transitioning my writing to focus more on experiences, although it can be said that tasting a fantastic wine in the perfect moment – with food and friends – is also an experience worth sharing. In light of this revelation, I have compiled a list of my favorite wines enjoyed these past couple of months, along with tasting notes. As always, your palate may vary. Enjoy! I have had this wine for a couple of years and decided to open and give it a try. This pinot noir is quite spicy, with cherry and cranberry fruit flavors and tangy acidity, showcasing beautiful fruit from vineyards in Carneros and Petaluma Gap. In my glass, the enduring 2009 Materra Merlot, crafted with estate fruit from the Oak Knoll District in the Napa Valley, source of some of Napa’s best merlot. It is still showing floral aromatics and delicious black and red fruits, dusty cocoa, and spice on the palate. The QPR of this wine is outstanding. I enjoyed this cabernet sauvignon crafted by boutique producer, Jean Edwards Cellars Wines, paired with filet mignon Oscar at Cibo 7 in Roseville, California. Still very youthful, this wine will continue to shine for many years or after a long decant, with its rich, dark fruit and firm tannin. Sporting an elegant new label design, this Pennsylvania grüner veltliner is a mouthwatering sipper produced in stainless steel, with aromas and flavors of tart apple, lemon, lime, lively acidity and a hint of warm pepper on the finish. I love when I taste a wine and its bright berry flavors, structure, and cool-climate acidity reveal such a strong sense of place that you cannot shake it. You sip and savor Finger Lakes Wine terroir and return to that very spot, Anthony Road Winery, and recall memories of years gone by. This is no wimpy merlot. It’s dark, dense, and dusty, strutting its stuff with warm climate black fruit, bitter chocolate overtones, baking spices, Rutherford dust terroir, and a lingering finish. This merlot really wants to be its big brother, the Cabernet Sauvignon Bosché. A few months ago while changing fulfillment centers, we discovered a few remaining cases of the 2013 Ehlers Estate Sauvignon Blanc. The cool thing about our wines is that they are made so well, they last longer than perhaps expected. This Sancerre-style sauvignon blanc is simply stunning two vintages later, with mouthwatering fruit, a textured palate, and lively acid. I need to hold back a bottle or two of 2015, it seems. Fantastic. This is a whole lot of wine for its $10 price point. Lush and weighty on the palate, yet also clean and crisp, it showcases a broad spectrum of white fruits, like pear, white peach, white nectarine, and lychee. A vivid, red-magenta color in the glass, this value-priced wine is easy to drink, with bright cherry-berry flavors and soft tannins. Pair this with charcuterie, cheese, and autumn celebrations. A November 2016 Wine Enthusiast Best Buy. One of the things I miss about Virginia: viognier. This one from Keswick Vineyards is made with my palate in mind: fermented and aged in stainless steel for six months, delectable fruit, nice mouthfeel, and lovely acidity. Oh, yes. Definitely Virginia Cabernet Franc! The 2016 Virginia Governor’s Cup Winner, this wine demonstrates a beautiful balance of black fruit and peppery spice on the nose and palate, plus it is oh so smoky and silky. Yum. It has been a while since I had an Oregon pinot noir, so I decided to open this to reacquaint myself. Not at all shy or subtle, this is one sultry and spicy pinot noir, intensely flavored with tart fruits like cranberry and plum, and a peppery finish. An hour and a half later, we realized this wasn’t just another tasting, it was an afternoon well spent with wine, friends, and cats at O’Brien Estate. After traveling in a tour bus along curvy Spring Mountain Road, which changes to Saint Helena Road at the Napa and Sonoma County line and leads to the far-removed estate, I knew I had discovered a remarkable location for grape growing and winemaking. A second chance can happen every day, in every moment that one chooses to change direction or be someone or something different. In #MWWC18, I wrote about my crisis, which turned out to be a second chance. I was a community college professor living in Virginia who, after the end of long teaching career, moved to Napa, California to begin again in the wine business. After a few months of living and working here, I realized that my career was not what I wanted. While I will always be appreciative of the opportunity and open door that allowed me to follow this path, I knew early on that I had landed in the wrong place. I would have to tread water for a while to get the experience I needed to move forward. After a year, I began to look for new employment. I didn’t realize that it would take me seven months to find a fit. Finally, in September 2015, I started my journey at Ehlers Estate, my second, second-chance career. Ehlers Estate, like me, has had its fair share of second chances. Founded in 1886 by Sacramento grocer Bernard Ehlers, the winery flourished under the leadership of Bernard and his wife, Anna, until the early 1920s, when it fell into the hands of a variety of owners, including bootleggers Fred and Manny Domingos, who operated the winery until 1958, through the repeal of prohibition when they could legally operate as Bale Mill Winery. In 1987, French philanthropists Jean and Sylviane Leducq, longtime wine lovers and enthusiasts, gave the winery its current-day, second chance. It took the Leducqs 14 years, until 2001, to cull vineyard parcels to include the stone barn winery built by Bernard and Anna Ehlers in 1886, the original 10-acre property, and the historic olive grove. In 2009, Ehlers Estate underwent another second chance, the hiring of winemaker and general manager Kevin Morrisey, who himself had faced second chances throughout his life as a cameraman turned winemaker. His internship at Château Pétrus in Bordeaux and his talent and leadership at other Napa Valley wineries such as Stags’ Leap Winery and Etude made him the ideal candidate to take Ehlers Estate into the future. Ehlers Estate produces 100% estate wines from 100% California certified organic vineyards, managed year around by our full-time vineyard and cellar team headed by winemaker Kevin Morrisey and vineyard and cellar manager Francisco Vega. Ehlers Estate crafts only Bordeaux varietal wines: cabernet sauvignon, merlot, cabernet franc, petit verdot, and sauvignon blanc. The winery produces one 100% cabernet sauvignon wine, the J. Leducq Cabernet Sauvignon, as well as two other cabernet sauvignons, the ‘1886’ Cabernet Sauvignon and Estate Cabernet Sauvignon, which both include blending amounts of merlot, cabernet franc, and/or petit verdot. The remaining merlot, cabernet franc, and petit verdot grapes are given a second chance to shine on their own as single-varietal wines: the Ehlers Estate Merlot (with a touch of cabernet franc), Cabernet Franc, Sylviane Rosé of Cabernet Franc, and Petit Verdot. The only white wine is the Ehlers Estate Sauvignon Blanc. Every bottle of Ehlers Estate wine is replete with second chances. The liquid inside is ever-changing and evolving. When opened, each bottle will provide a second chance to be more delicious than before. With each sip, one tastes the progression of second chances across time, from 1886 through today, from Bernard and Anna Ehlers, to the Domingos, to Jean and Sylviane Leducq, to winemaker Kevin Morrisey, and the footprints they have left on this enduring 42-acre estate in St. Helena, Napa Valley. *This review is an entry for #MWWC22: Second Chance, as described at this link. Voting has been extended through January 29, 2016 due to a first-time-ever, three-way tie. Vote HERE. It seems like yesterday that it was 2015 and now it is mid-January already. Where have these few weeks gone? Only two weeks until February (and my birthday, yay)! Earlier this month, I published a review of four wines from Trump Winery, a review of Domaine Carneros for American Winery Guide, and a review of the NV Faire La Fête Crémant de Limoux for Snooth, so I am still actively writing. I hope that you will read these reviews if you have not already! However, the beginning-of-the year craziness and workplace intensity have not allowed me to focus as much on other wine samples I received late last year and I am feeling a bit overwhelmed. That being said, here are three that I have tasted and recommend for your enjoyment. The Treana Red is comprised of 75% cabernet sauvignon and 25% syrah aged 15 months in 65% new and 35% once-used French oak. It is young and voluptuous, with an apparent clinginess and deep purple color in the glass that is unrivaled. On the palate, the mouthfeel is sumptuous and the tannins firm, with aromas and flavors of blackberries, blackcurrant, vanilla, and spices. I sipped this wine over the course of three days with and without food and it was still quite powerful on day three. My favorite food pairing with the Treana was a hearty steak. Decant this and drink now or hold this one for 10-20 years. 15% ABV, 7000 cases produced. This wine finishes the trifecta of Banfi Wines that I received as samples and it might very well be I saved the best for last. The 2013 Centine Rosé (or Rosato, as I suggested it be called), produced in stainless steel, is simply lovely for a wine that comes in at around $11. It’s a blend of sangiovese, merlot and cabernet sauvignon, so it’s more of a medium-bodied rose, with nice aromatics and flavors of strawberries and wild raspberries. The finish is longer than I would expect from a wine at this price point and the acid shines. I paired this pretty, salmon-pink wine with tail-off, pink shrimp prepared with butter and a touch of this rosé. For those inquiring minds, yes, I cooked. Enjoy this rosé, er, rosato, with a variety of foods. ABV 12.5%. This is the third sample of garnacha sent to me by Magnum Wines International, LLC and New Spain Wines. Similarly to the other samples, the grapes for the 7 Navas Roble come from the Alto Alberche Valley in Castilla y León, where the vines are 60-70 years old, resulting in lower yields, but very intense, high-quality berries. Unlike the previous two, the 2012 Bodega Don Juan del Águila Gaznata Joven and 2013 Bodega Garnacha Alto Alberche 7 Navas Garnacha Joven, this wine sees four months of aging in twice-used French oak barrels and was not bottled until March 2014. It still retains the characteristics of old-vine, high-altitude garnacha, such as floral aromatics, bright cherry fruit, and spice. However, it has more noticeable tannin structure and body from the oak aging. This is a great value at under $20. 14.5% ABV, 3200 bottles (266.67 cases) produced. At this moment in time, I have one more post planned for January. In the works are more reviews for American Winery Guide and Snooth in the coming months. I hope that I can count on you for your continued support and readership. Alpha Omega produces world-class wines from their own vineyards, as well as from some of Napa Valley’s most storied vineyards, such as To Kalon, Missouri Hopper, Dr. Crane, Las Piedras, Georges III, Stagecoach, and Sunshine Valley. Their goal is to craft delicious wines that reflect the unique terroir of these vineyards. The past couple of weeks, I have had the opportunity to participate in two virtual tastings, one with Ferrari-Carano on November 12 and one with Old York Cellars on November 19. I always enjoy these tastings because the participants interact with winemakers, ask questions, taste the wines, share opinions about the wines, and suggest food pairings. Below are my thoughts. All were provided to me as samples. For the Ferrari-Carano tasting, two of my work colleagues, Bradley and Cole, joined me, so these notes reflect our collective perspectives. I also re-tasted the Ferrari-Carano wines alone at home after being opened a couple of hours. We are not ABC (all but chardonnay) tasters, but all three of us were a little wary of this wine initially because we were afraid of the production style. However, I am happy to report that we found this chardonnay to be well made. It is definitely a California-style chardonnay which sees 100% malolactic fermentation and sur lie aging in French oak, then an additional five months in neutral oak. However, this robust chardonnay exhibits fruit flavors such as green apple, stone fruits, and sweet citrus, accompanied by oak-influenced flavors like caramel and nut, and a creamy, rich mouthfeel. The three of us chose this wine as our favorite of the tasting, as well as the most indicative of its growing region, Anderson Valley. The grapes for this wine come from three ranch vineyards in Alexander Valley and are hand harvested and sorted. The production includes cold soaking, fermentation in open-top fermenters, and 10 months of aging in a combination of new and neutral French oak. This wine has all of the characteristics of a cool-climate pinot noir: earthiness, spiciness, a firm backbone of acidity, and fruit flavors such as cherry, currant, and plum. The grapes for this blend of 71% cabernet sauvignon, 9% petit verdot, 7% malbec, 7% merlot, and 6% cabernet franc , are hand sorted, fermented in stainless and oak, then aged in new and older French, American, and Hungarian oak barrels. The resulting wine is quite balanced, with a silky mouthfeel and soft tannins. Aromas and flavors of baked blackberry and blueberry dominate, supported by oak-imparted flavors such as caramel and spice. My cohorts and I thought this wine was palate friendly enough to be enjoyed by drinkers who might typically be afraid of red wine because the tannins are well integrated. In this offering, Scott Gares, the winemaker at Old York Cellars, decided to create a blend of two vintages, 2013 and 2014, to achieve the tannin structure and body of the 2013 and the bright fruit characteristics of the 2014. The resulting wine is one that is easy on the palate and the wallet. This merlot shows mostly sweet fruit flavors such as black cherry, raspberry, and pomegranate. Virtual tasters paired this wine with cheeses, Cabot White Oak Cheddar (aged cheddar), Thanksgiving-inspired recipes, and even chocolate. I usually do not gravitate towards the sweeter side of riesling, unless it is German. However, in this case, the wine is really not that sweet, more of a medium sweet, and that sweetness co-exists with good acidity. Aromas and flavors of crisp, ripe apples come together with citrus to create a juicy, mouthwatering, food-friendly wine that will liven up rich, holiday meals, as well as pair with soft cheeses, Cabot Monterey Jack cheese, and even cheesecake (as suggests the bottle’s back label). Just say cheese. Tasting fun with my co-workers! I am happy to announce that I will be participating in two more virtual tastings this year, a tasting of the current release of Hope Family Wines Troublemaker 9, a wine (Troublemaker 8) I have reviewed previously, on December 9, as well as a tasting of Trump Winery sparkling wines as a participant in #vawinechat on December 10. I hope that you will join me!